At Flowerscene we are delighted to present this basket arrangement in yellow and white flowers. Delicate small headed flowers in strong colours makes this a striking gift. Also stunning when created in spring flowers. 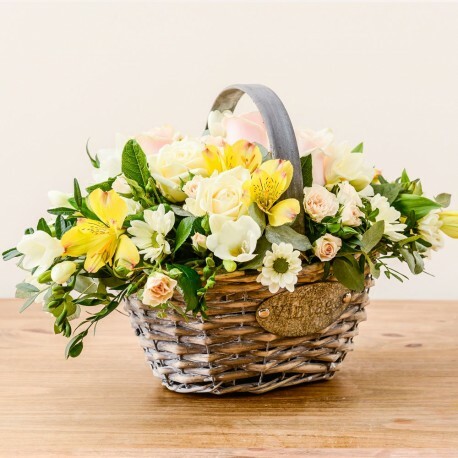 Flowerscene are delighted to present this basket arrangement for flower delivery in Aberdeen and surrounding areas.